Currently Kristian has been working and teaching in Montreal at Tripoli Studios, MyDance Studios in Lachine, and Rebelles and Vagabonds in Laval. In addition, he recently taught a workshop at Studio Viva Danse. Prior to Montreal, Kristian has taught in Kingston Ontario at TK Danceworkx as well as at Front and Centre Dance Academy and Artistic Edge Dance company in Toronto. Kristian has a wide variety of experience teaching all ages of dance as well as all levels including competitive teams. Aside from his ability to teach dance, Kristian is also a Math and Science tutor as well as life guard and swimming instructor. Having said that, Kristian works extremely well with kids. He is enthusiastic, PR friendly, and relatable; all while remaining professional. Kristian has also run dance programs within the Peel District School Board. Kristian has most recently completed a Math degree at Queen’s University, with hopes of becoming a high school math teacher. His interest in hip-hop dance began in high school, with his initial exposure being solely from music videos and Youtube. Aside from doing a couple of talent shows, Kristian’s dance history lies no further than his time at University. During his first year at Queen’s, he was introduced to FLOW Dance Club by Katie Lee. After performing with the Clubbin his first year, he was then asked to be an instructor in 2nd year and then Co-President in 3rd year. It was at this point that Kristian recognized his love for dance, as he began to experiment with the elements of both choreography and freestyle. Although Kristian does not have a long history of formal training, he has had many opportunities to train with incredible artists in the industry. In May of 2010, Kristian was fortunate enough to start dancing with the company Artists In Motion (AIM), training under the likes of Shameka. Blake, Esie Mensah, and Hollywood Jade. Since training with AIM, he has been able to perform at many large events such as ‘Bazaar’, ‘Breaks, Beats & Culture’ at Harbourfront, ‘Project Dance’ for Pride weekend, and ‘World Partnership Walk”. In addition, Kristian has been chosen to dance back up for Artists such as Kirk Franklin, Danny Fernandes, Nicole Arbour, Alyssa Reid, and Anjulie. 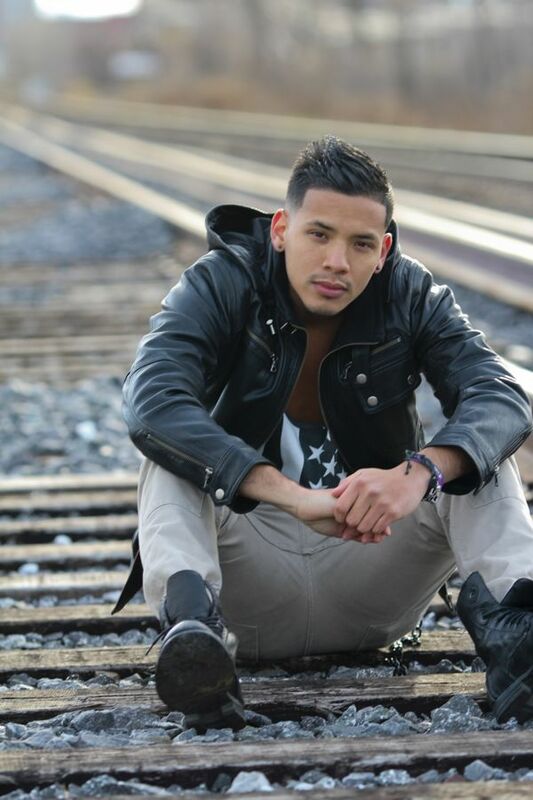 Kristian’s main strength lies within his freestyle; however he hopes to continue to grow in all aspects of dance. Through his continued training, Kristian hopes to gain experience in as many dance styles as possible, allowing for a more thorough understanding of not only dance as an art, but himself, as an artist.